Heady lost his vision in separate accidents as a boy in Spencer County, Kentucky and his hearing at age 40 after a fall from a horse. 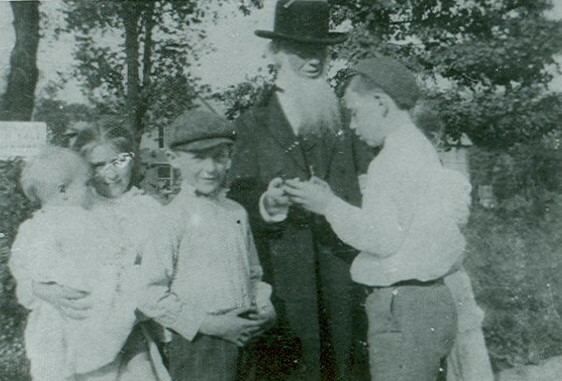 Inventor, author, and teacher, known as the "Blind Bard of Kentucky," Heady invented this method to continue communicating. Although Heady invented it independently, it had been known for centuries following the work of George Dalgarno in Oxford, England in 1680. 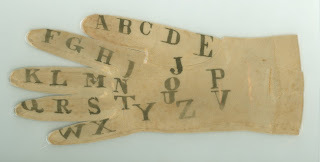 Heady was the fundraising agent for the American Printing House for the Blind in the 1860s. He traveled all around central Kentucky demonstrating a model printing press and collecting donations. And he was a popular neighborhood storyteller. Kids would tap their story requests into his glove and like a human jukebox, Heady would launch into wild tales that delighted his audience. You can still buy his biography on Amazon. This glove was donated by Nancy Scalabroni. Her great, great grandmother was Emarine Heady Beard, Heady’s beloved sister. 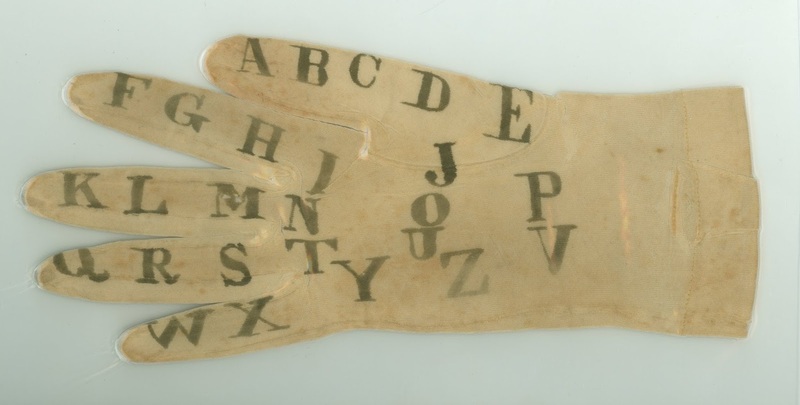 Unfortunately, Nancy’s uncle had the glove laminated in plastic, a process that is difficult and expensive to reverse, but we’re working on it. The first photo shows the glove; the second picture is of Morrison in a dark suit, top hat, long white beard. He is wearing the glove and is talking with five neighborhood kids who cluster around him, one of whom is spelling out something to Morrison by tapping on the glove.